Not sure what something means? Check here! 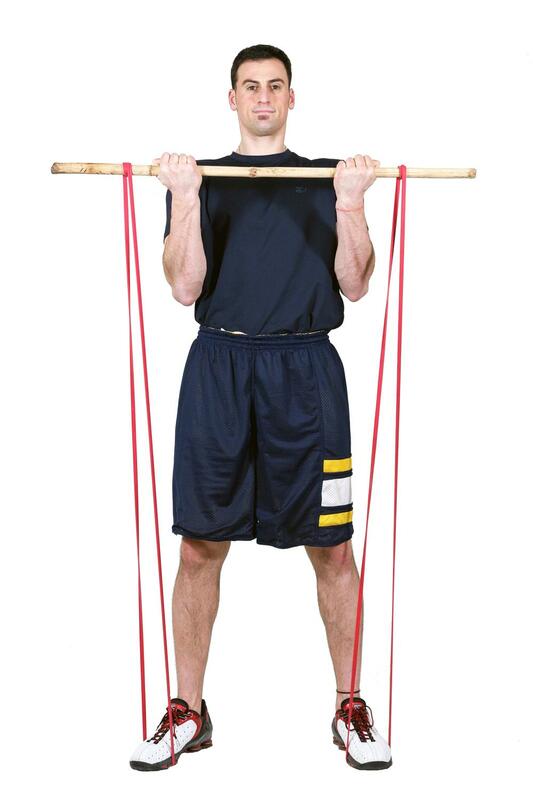 The following terms will help you decipher how to perform the exercises in the manual. If you find that you still have uncertainties after reviewing this glossary or have any suggestions for other terms, please feel free to contact us. This can be anything that is straight and narrow enough to wrap your hands around. The material doesn´t matter as long as the weight of the item does not impede your ability to easily lift it. Examples may include, but are not limited to: broom or mop stick, tree branch, metal shaft, or a pole. NOTE: Door strap is not recommended for use below doors, on hollow doors and where there is a wide gap between door and frame. 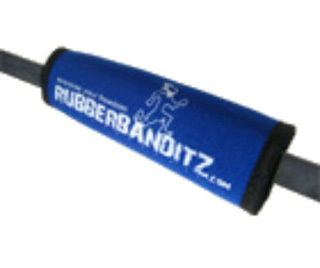 The exact location where you wrap, stabilize, fasten, or loop a band to a fixed object. 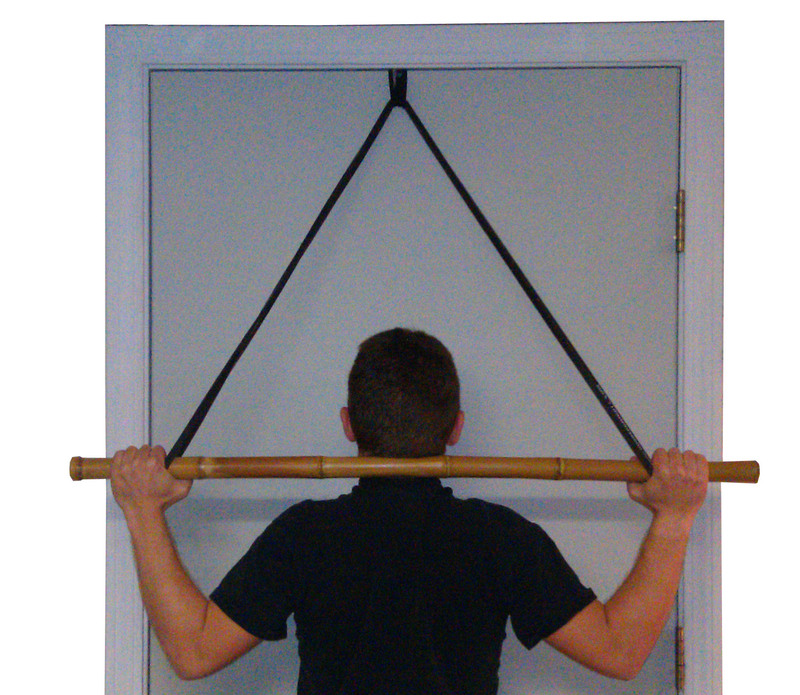 Adjusting the anchor point will normally result in a change of resistance: the further you are from the A.P., the higher the resistance, while the closer you are to the A.P., the lower the resistance. Continuously modifying your routines to prevent muscles plateaus (making minimal gains). Altering your routines periodically is very important. In addition to selecting different exercises, you can also modify the resistance and perform more or less reps accordingly. Integrating negatives, static contraction training, drop sets, and supersets are great ways to vary your workout. The point in the set where you can’t lift an additional repetition without cheating. 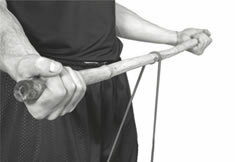 Upon reaching your point of exhaustion, you can always try and muster out partial reps, which are less than full range-of-motion repetitions. 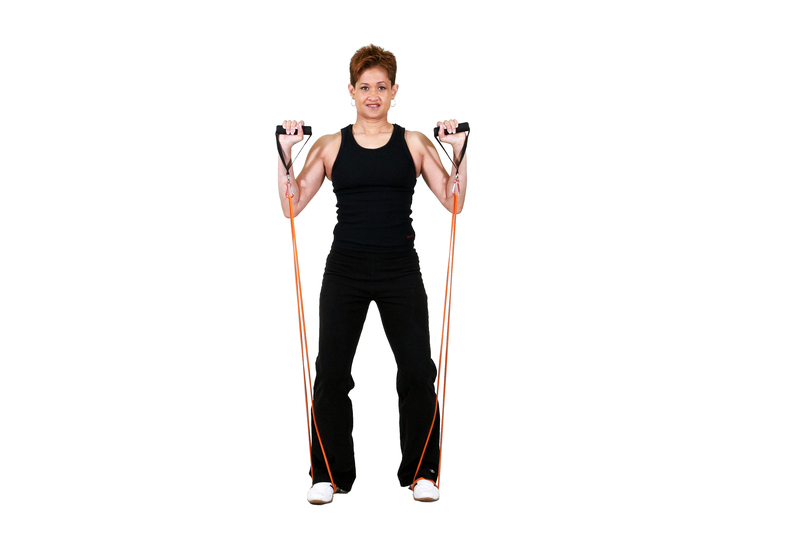 A controlled muscle resistance that involves fighting the regression portion of the exercise. In contrast to conventional repetitions, which normally begin at the easiest point before peaking (concentric movement) and then returning back to the easiest point (eccentric movement), negatives begin at the peak of the repetition (after the concentric movement) and slowly resist the retreat back to starting position (isometric movement). It has been suggested that this portion of the exercise stimulates the most muscle and is therefore responsible for the greatest growth. The completion of one full motion called for by a particular exercise. The group of exercises you perform in one workout. 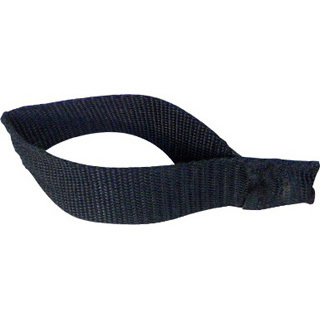 To secure the middle of a band in place by doubling it around an object. 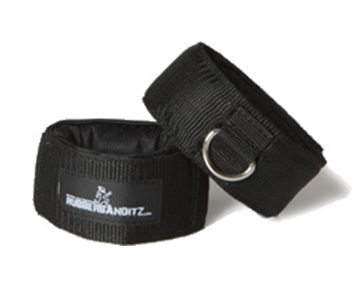 Try to position the ends of the band as close together as possible to prevent them from slipping. 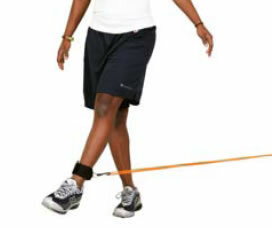 To secure one end of a band in place by inserting an object through to limit that side’s mobility. 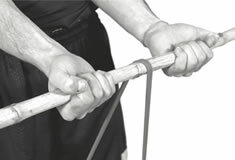 To secure one end of a band in place by circling the band around an object and then pulling one end through the other. 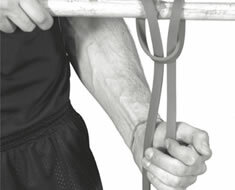 To circle the band around an object for the purpose of raising the resistance by shortening the band’s exposed length. 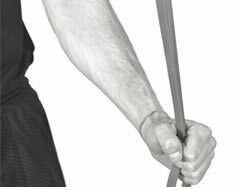 Holds – The option of wide, narrow, overhand, or underhand grips you can choose to use for any given exercise. 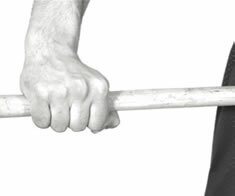 A generic term meaning to, ¨hold the bar, handgrip, or band ends in your hand. 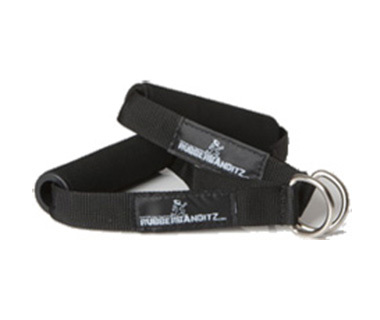 The part of the band that is convenient to grasp or insert an attachment to when the band is doubled over (we do recognize that circular bands have no true ends). Spacing your hands far apart when performing an exercise. Spacing your hands close together when performing an exercise. 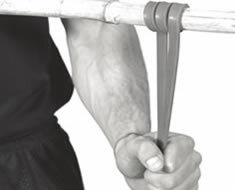 Grasping the BAR/STICK, handgrips, or band with your palms facing up. 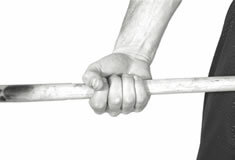 Grasping the BAR/STICK, handgrips, or band with your palms facing down. Post – This is a very broad term that encompasses anything you could attach a band to for the purpose of creating resistance on the opposite end. Examples may include, but are not limited to: your feet, back, a tree, bedpost, pillar, support beam, or your door strap. How and where you attach a band to a post is what determines your anchor point. A post located in front of you when performing a lift. A post located anywhere above your head when performing a lift. A post located behind you when performing a lift. A post located at your side. Set – The amount of reps you do at one given time before resting. A double set where you complete a full set, and then immediately lower the resistance to do a second “drop set” of the same lift to further exhaust your muscles. Sets of a non-related exercise or activity infused into your workout routine. Staggered sets can be anything you want to include in your workout such as: push-ups, pull-ups, stretching, yoga, core exercises, or homework. 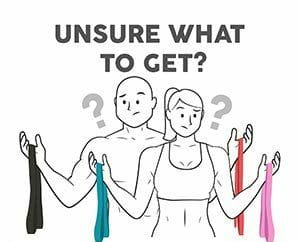 An additional bonus of working out with exercise bands is that you can spread out your workout over the course of a few hours if necessary. Short doses of exercise can be rewarding anytime, even if done intermittently between chapters, commercials, meetings, or traffic lights. Stagger exercise into life! Please note that American College of Sports Medicine (ACSM) advocates working out for at least 25 minutes for a true benefit. Doing two different lifts for two different muscle groups back-to-back. For example, doing one set of a chest lift, and then immediately doing a set of bicep exercises before resting. While you are working out one muscle, the other muscle has time to rest and recover. This will keep up your workout intensity, speed up your workout, and leave your muscles exhausted afterwards. 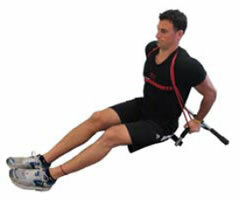 This is great for the split routines and circuit training routines. An exercise philosophy we advocate that suggests exerting yourself by performing as many repetitions as you can until you reach failure in each set. Instead of performing a complete repetition, hold your rep at the point of maximum resistance until your muscles fatigue. These extended reps can be performed once or multiple times to make up a set. The difference between this and negatives, is that with static contraction you are holding the resistance in one place, whereas with negatives you are slowly retreating back to starting position. These routines are designed to build muscle mass. Each muscle group is exercised more extensively in each routine but less frequently per week. Try to superset all of your sets to maintain a high intensity, expedite your workout, and leave your muscles exhausted afterwards. Try to limit your rests to a quick breather only between sets after you have completed a superset. 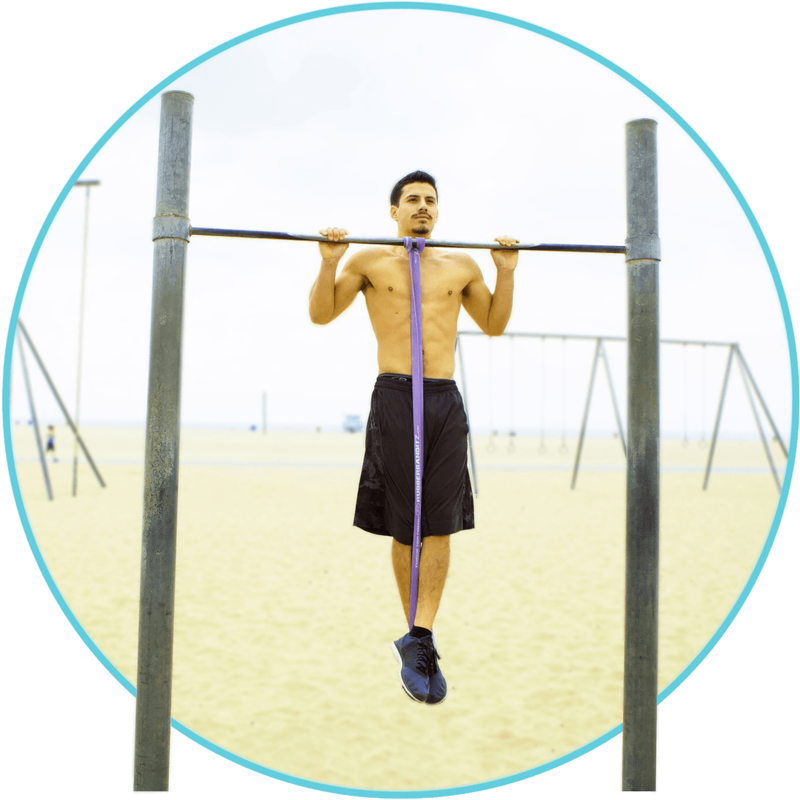 The split routines are designed so that while you are working out one of the focused muscle groups, the other is resting and should be fresh for every alternating set. Raise the resistance and try for 8-10 reps per set to build muscle mass. 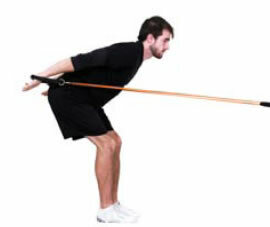 If your objective is to maintain or tone your current muscle mass, lower the resistance and aim for 15-25 reps per set.